British singer-songwriter and philanthropist Yusuf Islam has praised Turkey's role in helping Syrian refugees, highlighting the fact that the West does not even come close to matching the country’s achievements. The musician, who was formerly known as Cat Stevens, converted to Islam in December 1977 and adopted the name Yusuf Islam the following year. In 1979, he auctioned all his guitars for charity and left his music career to devote himself to educational and philanthropic causes in the Muslim community all around the world. 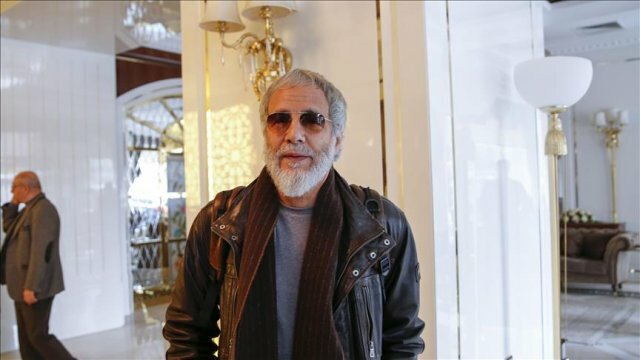 Islam was in Istanbul recently to unveil the Turkish translation of his last book "Why I Still Carry A Guitar: The Spiritual Journey of Cat Stevens to Yusuf," which was published in English in 2014. In an interview with Anadolu Agency on Saturday, the artist said Turkey's contribution towards helping refugees shows "the slogan of human rights has more meaning in here than it does in the United Nations. "Turkey is looking after so many, 3 million visitors, that is an extraordinary [achievement]," Yusuf said. About Turkey's regional importance and role, he said the country "has historically been a global protectorate for many nations. It is part of the character of Turkish people to play a central role. "It had an amazing history being able to create a peace amongst people even if they are from different religions, different cultures," he added. About this book, he said: "My book is trying to explain why I put the guitar down and why [I] picked up but actually it is much more than that," he said. The book reveals Yusuf's journey as a young superstar to a man defined by his faith. It explains the "background what people did not understand from what’s happening to me," he said. He said Islam had changed so many things in his life. "Islam is not just a religion for Friday, a special day of the week. It is for your life and for Akhirah [the Arabic word for the concept of day of judgement in Islam], hereafter. "Learning how to pray, learning how to read the Quran, learning what the Quran means in Arabic. It was very important because there are different Madhabs [sects] in Islam, among Muslim. "You have to find your way. Because I did not grow up as a Muslim so I do not have a Madhhab [sect]. I have to follow Quran and I have to understand it, and that means lots of education for me," he said. About his other projects, Islam said he was working on an animation series for children with his songs as "each chapter, each series will have a story, something to teach the children." He also said there was a new record on the cards. "I have a new record coming out in September, Inshallah [God willing]. Actually, one of the songs on the new album, I took the words from [Turkish poet and Sufi mystic] Yunus Emre, it is beautiful, it says: 'Look, what love did to me'," he said. Islam also said he will soon tour Australia and South Africa, adding he had written another book that would be published next year.